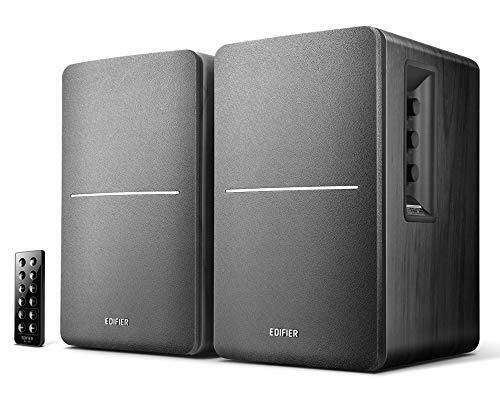 The Edifier R1280DB bluetooth speakers are very similar to the recently reviewed Edifier R1010BT speakers, however they add some additional features that make them worth the extra cash. The build quality, as ever with Edifier, is excellent. You’ll see the black version in the review video but a more traditional wood version is also available. Around the back you’ve two line in inputs, coaxial input, optical input plus you can connect via Bluetooth giving a total of 5 separate inputs. On the side of the active speaker are controls for volume, treble and bass. There’s a remote included to allow you to manage all the inputs and volume from your sofa. It’s a small remote so it’s good to see the input can be manually changed via clicking the volume control on the speaker should you misplace the remote. The two speakers are connected together via the included speaker cable, which is a decent length but can be replaced with a longer cable if you need them further apart. 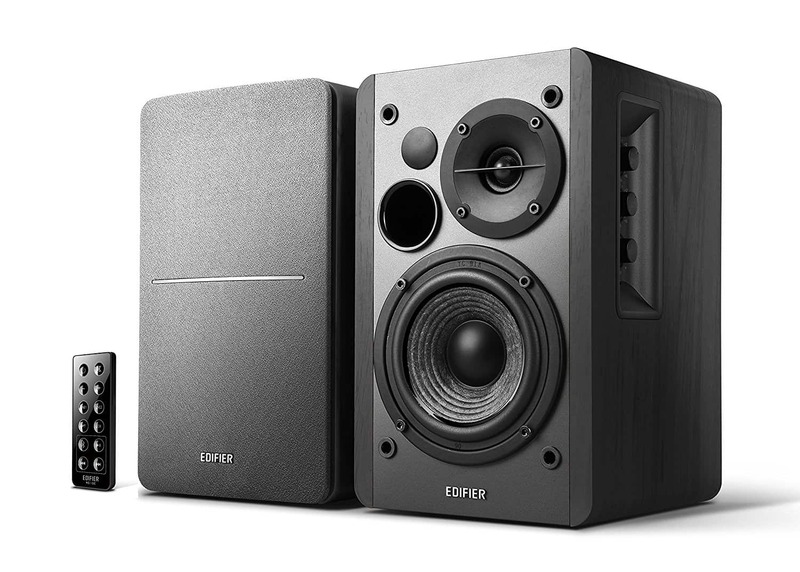 Although a similar price to various smart speakers, such as the Amazon Echo, the Edifier R1280DBs offers a better listening experience, with great bass and full stereo separation. They easily fill a room, have a lovely sound to them (which can be adjust to your taste via the controls on the side) and can be used for music, gaming, or films, they all sound great. You’ll certainly notice a huge difference if you’re using built in speakers on your TV or laptop, the R1280DBs add a nice punch to the sound, you’ll see a demo of this using Marvels Avengers Age of Ultron in the review video below, the main battle sequence towards the end of the film sounded really good out of these.